WP Nel is unlikely to recover from a fractured arm in time to play any part in Scotland's Six Nations campaign. 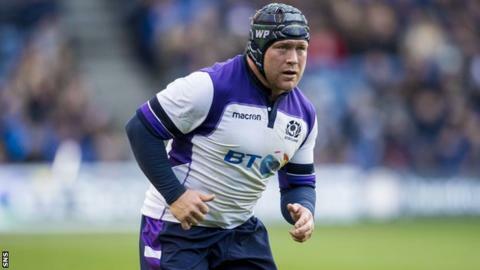 The Edinburgh tight-head prop was injured during Scotland's autumn Test match against Samoa last month. Though he is not expected to be fit to play for at least 12 weeks, he could return before Scotland's final two matches against Ireland and Italy. But a lack of match practice means he is unlikely to be considered by Scotland head coach Gregor Townsend. Nel has won 19 caps and scored two international tries. Scotland open their Six Nations campaign in Wales on 3 February before hosting France eight days later. England visit Scotland on 24 February then the Scots travel to face Ireland on 10 March before finishing the championship away to Italy on 17 March.